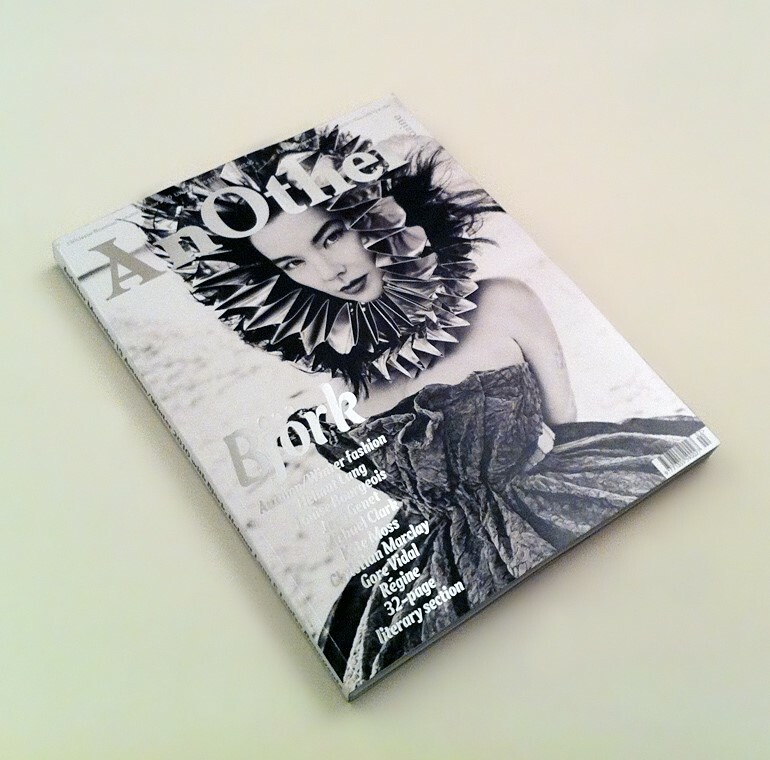 Featuring cover star Björk styled by Camilla Nickerson and photographed by Inez and Vinoodh. “She’s the only person we know who is completely connected with heaven and earth simultaneously,” say the photographers. Autumn/winter fashion by some of the world’s superstar stylists and image-makers, including Olivier Rizzo and Craig McDean, Tabitha Simmons and Glen Luchford, Marie-Amelie Sauve and Venetia Scott. An exclusive chat with designer-turned-artist Helmut Lang. A portfolio dedicated to poet and petty thief Jean Genet featuring Patti Smith, Kenneth Anger, Cerith Wyn Evans, Peter Doig, Harland Miller, Jonas Mekas, David Bowie and Jeanne Moreau. The poetic last interview with pioneering artist Louise Bourgeois. The first look at stills from Christian Marclay’s new film, which we hear is being hailed as a modern masterpiece. Some brilliant pictures of Michael Clark, chosen for us by the dancer himself from a new book about his career. A 32-page literature section dedicated to words, including some by Geoff Dyer, Chloe Aridjis and JG Ballard. We hope you enjoy settling down with it as much as we’ve enjoyed putting it all together.